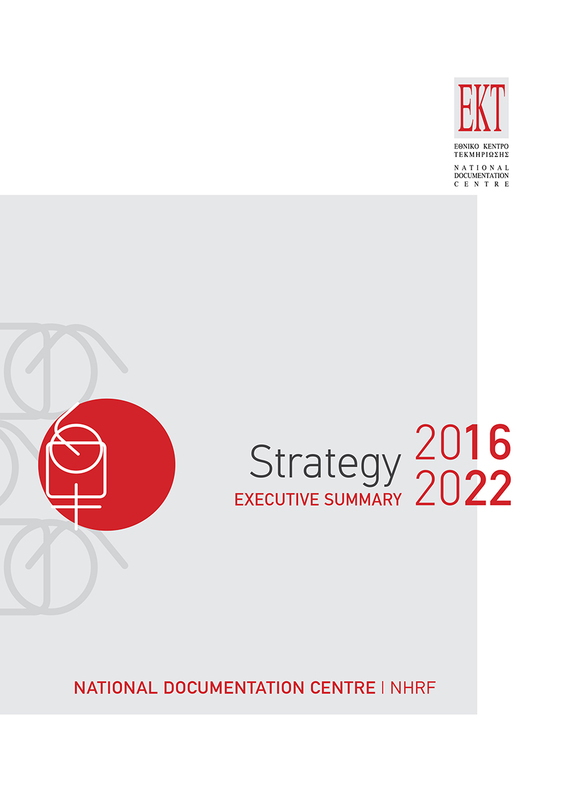 EKT’s strategy for 2016-2022 represents the general direction towards which we will be moving during this period, taking into account, on the one hand, our current position and on the other, the international environment, as indicated in policies of international organisations (EU, OECD, UNESCO), declarations to which Greece subscribes, and emblematic actions on a European and international level, in addition to the strategic direction of international bodies with institutional roles similar to our own. As a nationwide infrastructure in critical sectors such as the organisation and dissemination of scientific output, strengthening of academic communication, collection and dissemination of research results, measurement of research activities, we are publishing our Strategy for the next programming period 2016-2022, with the aim of updating institutional and social partners and enriching the wider debate of the improvement and convergence of the Greek research and innovation system with European and international levels. A. Increasing the quantity and quality of reputable, Greek scientific and cultural content from scientific, research, cultural, educational and business activities which is available for use and reuse. B. Shaping the business environment (information infrastructure, know-how, procedures) for the collection of data and the production of trustworthy national statistics covering the international and European obligations of the country and responding to national policy options. C. Strengthening the integration of new knowledge in research and innovation activities through actions and services to transfer results to society and the economy, disseminating knowledge generated, supporting interconnectivity and co-operation of research and business communities.